Consumers across Spain are increasingly opting to buy organic produce, meat, fish and other foodstuffs under the organic Bio label, fueling an increase of interest among small agri-producers, marketers and retailers in participating in the growing organic foods industry nationwide. According to the most-recent numbers released Tuesday by Spain’s Ministry of Agriculture and Fisheries, Food and Environment, the total value of consumption of organic foodstuffs in Spain reached nearly 1.69 billion euros in 2016, representing a year-on-year growth of 12.5 percent and the third consecutive year of double-digit growth in purchases of organic products in Spain. 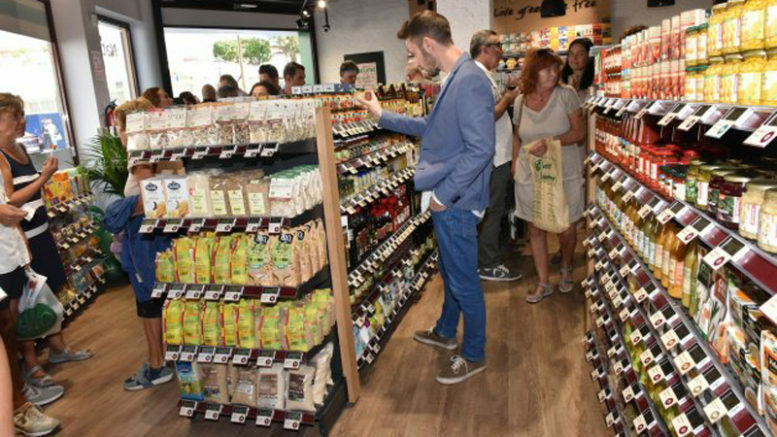 Although organic foodstuffs only account for 1.69 percent of the total shopping list for Spanish consumers, the agriculture ministry notes that its current growth is outstripping that of non-organic foodstuffs, which grew only 0.7 percent during 2016, and says that consumption of organic products could exceed 2 percent of total food sales in Spain by 2020. The growth in organic food consumption is reportedly fueling interest by small- to medium-sized agri-producers, as well as retailers and marketers interested in taking advantage of the growth in public interest in foodstuffs carrying the distinctive “Bio” organic label in Spain. Demand for more information from Spanish growers, marketers and retailers is such that two non-governmental organizations, Ecovalia and the Fundación Biodiversidad, recently launched a program called REDconect@BIO to advise agri-businesses and producers in Andalucía, Castilla-La Macha and Extremadura on the benefits of tapping into the trend toward organic foodstuffs in Spain. According to the figures released by the Agriculture ministry, Spaniards spent an average of 36.33 euros per capita on organic foodstuffs in 2016, with more than 64 percent of purchases concentrated in six organic product lines: vegetables, potatoes and derivative products (18.5 percent); meats and meat-derivatives (15 percent; cereals, rice and derivative products (11 percent); fruit and preserves (11 percent); olive oil (8 percent); and milk and dairy products (6.5 percent).